By far the biggest activity of Houweling Transport is volume transport. Six days a week, trucks drive throughout the Netherlands and to places in Germany, Belgium and France. Van Houweling Transport has been on the road with Solidskin curtain siders for many years now. 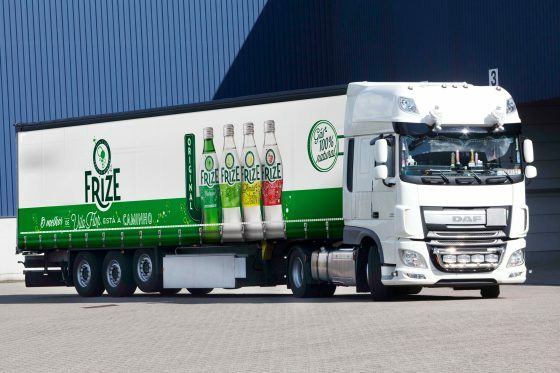 Solidskin was the obvious choice for their truck side curtains, since their design makes use of a lot of imagery and part of the colours need to match the body of the truck. Van Houweling Transport recognizes the importance of the appearance of their car park as a tool for reputation management. With Solidskin they can easily maintain their high quality appearance for years to come.